In 1986, the Center for Science in the Public Interest, a pro-vegetarian, low-fat consumer advocacy organization, petitioned the FDA to add what fats expert Dr. Mary Enig calls ‘singularly perjorative anti-tropical oil labeling.’ The effort failed, but the campaign against tropical oils – mostly coconut oil and palm oil, which had been staples of baked goods such as cookies and crackers – was underway. What followed was a major shift in the American diet, as traditional saturated fats (including American farm fats such as lard and butter) and tropical oils were steadily replaced by cheaper, domestically produced vegetable oils. For baking, the oils had to be made firm and shelf stable, so they were hydrogenated. Now we know that hydrogenated vegetable oils contain deadly trans fats, and the food industry is switching back to traditional oils such as palm. Three cheers! Coconut and palm oil are indeed healthy. Both are rich in saturated fats with antiviral and antimicrobial qualities, and they don’t do anything bad for your heart. On the contrary, their effect is to raise HDL, or in other cases, to improve the HDL/LDL balance cardiologists are so concerned about. In the NYT on 11 April 2006, Malaysian palm oil producers bought a large ad making just this argument about healthy palm oil. Ordinarily I’m wary of producer claims, but in this case, the palm oil folks have the facts right. Like people in tropical climes, I use coconut milk, cream, and oil with impunity. 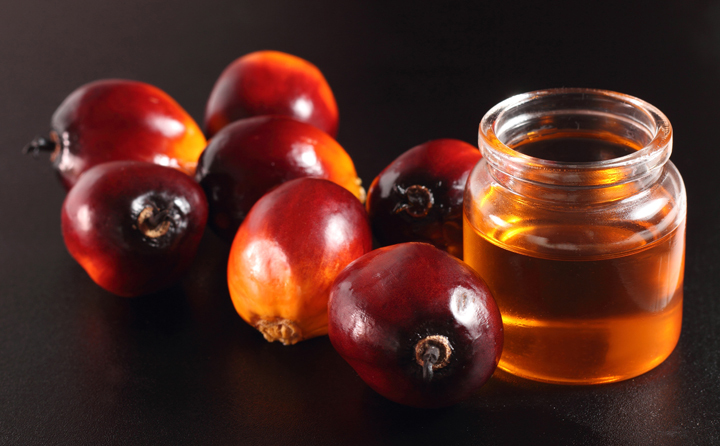 Red-orange palm oil (rich in beta carotene) is also good for you. I don’t cook with it because I don’t care for the flavor, but I’m glad to see it returning to cookies and crackers.